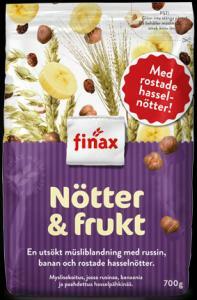 Finax Nuts and Fruit Muesli 650g - Cereal - The Dutch Shop LLC your store for Dutch groceries. 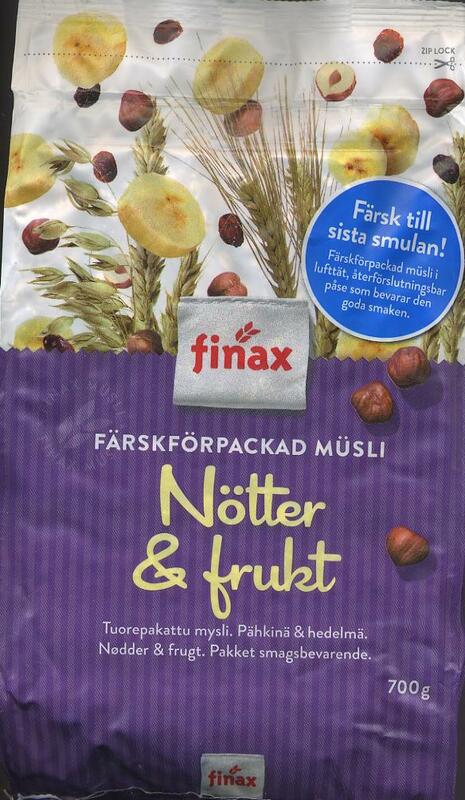 Finax Nuts and Fruit Muesli 650g. A successful combination of banana and raisins, hearty chunks of roasted hazelnuts and crispy barley flakes. Did you know that there are genuine and fake nuts? Yes, walnut is actually a stone fruit, almonds a seed and peanut a legume. But hazelnut, it's a bona fide nut. Useful and good it is as well. Fits perfectly with the fruit in the muesli!